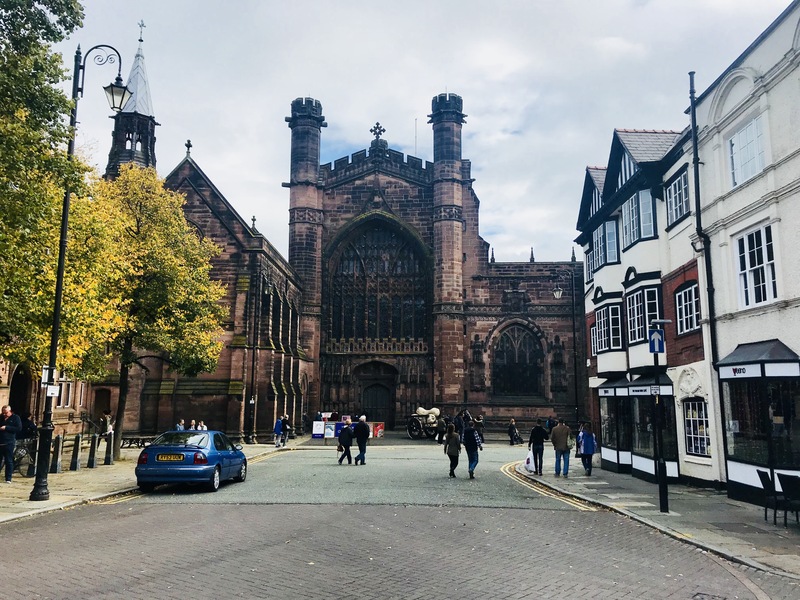 If you are coming to Chester or are thinking about visiting this lovely town in the North West of England, here are 10 things not to miss. 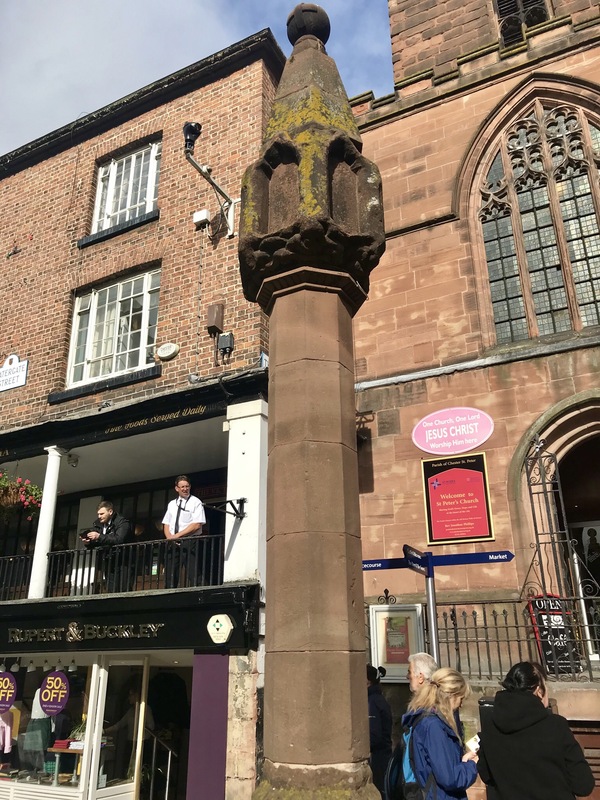 1.The Cross – situated right in the centre and dates back to medieval times. It’s a good meeting point and place to start. 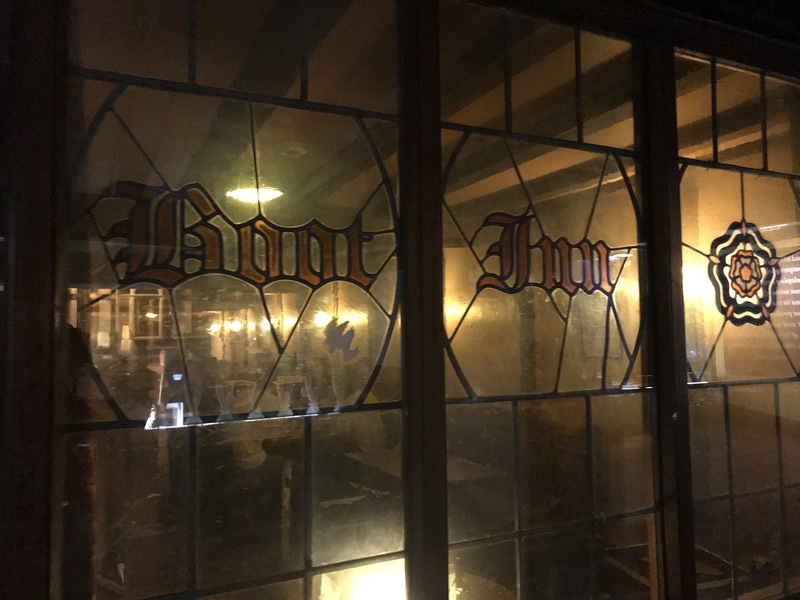 2.The Boot – One of the oldest pubs and situated on the upper Rows of Eastgate. Very reasonably priced beers also. 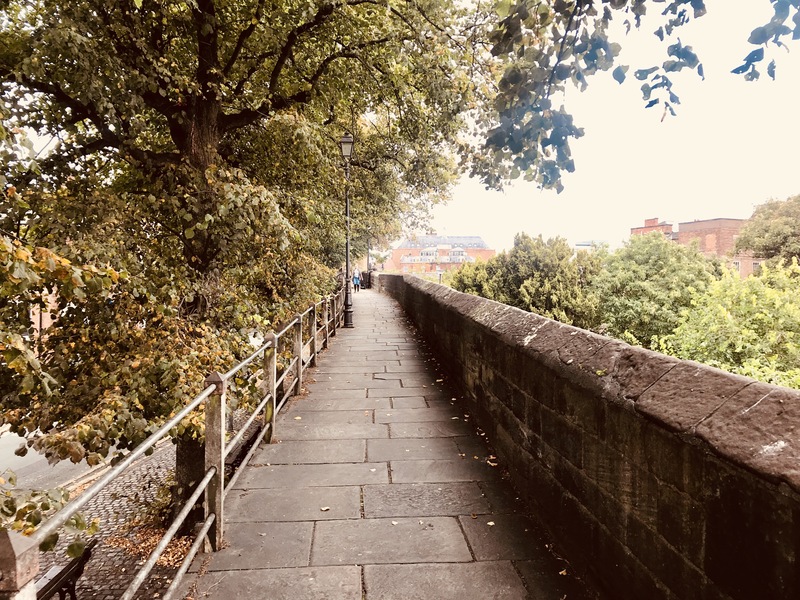 3.The Walls – No visit is complete without a walk on the walls. 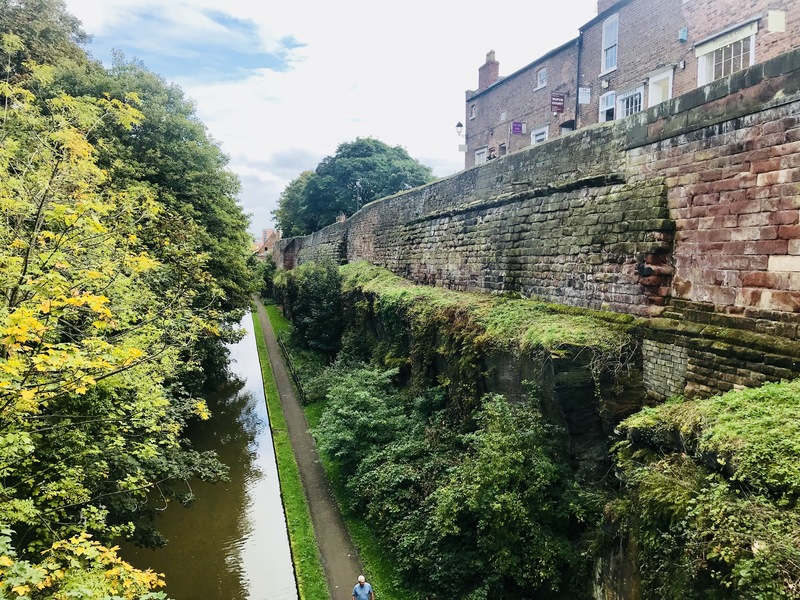 The picture below is at the highest point near North Gate and the bottom picture is taken near the Roman Gardens. 4. 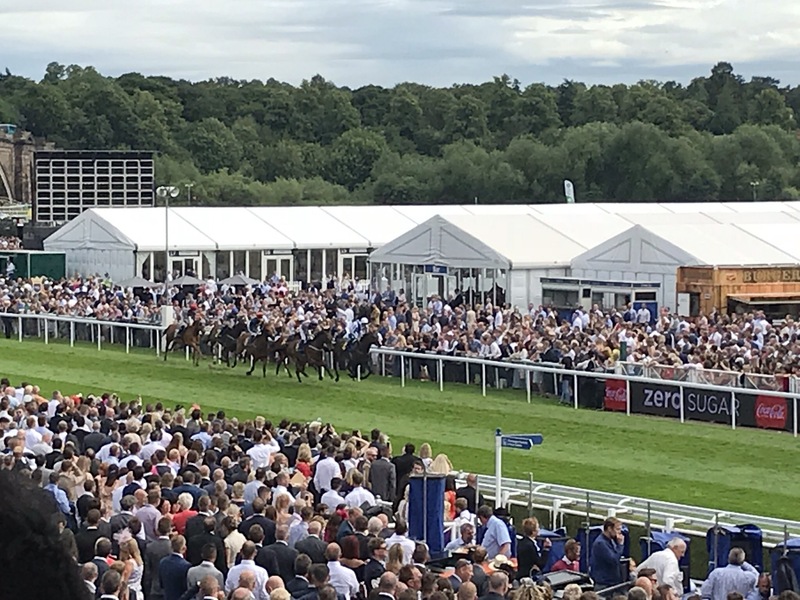 The Racecourse– One of the best days out in Chester. If you can, get a ticket to the Long Room. Expensive but worth it. 5. 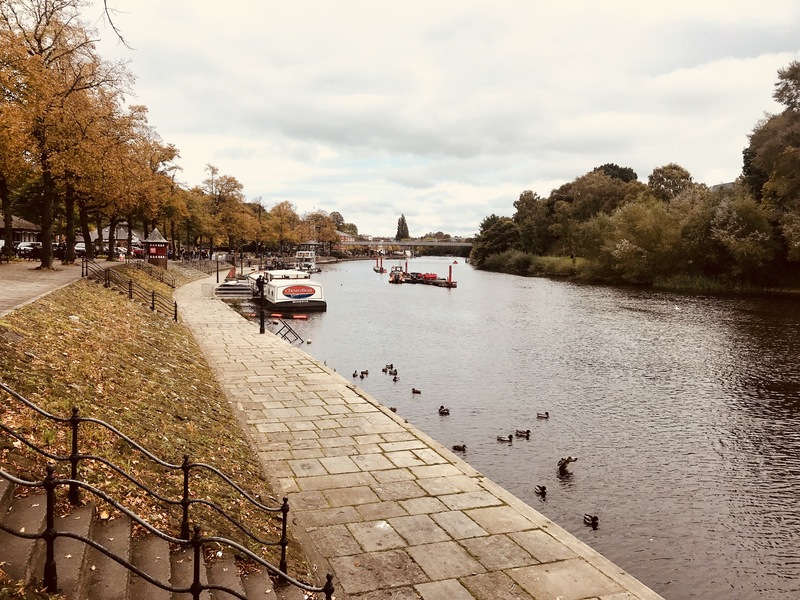 The Groves – It’s lovely to sit here any watch the world go by. In summer there are bands playing in the Victorian band stand. 6. 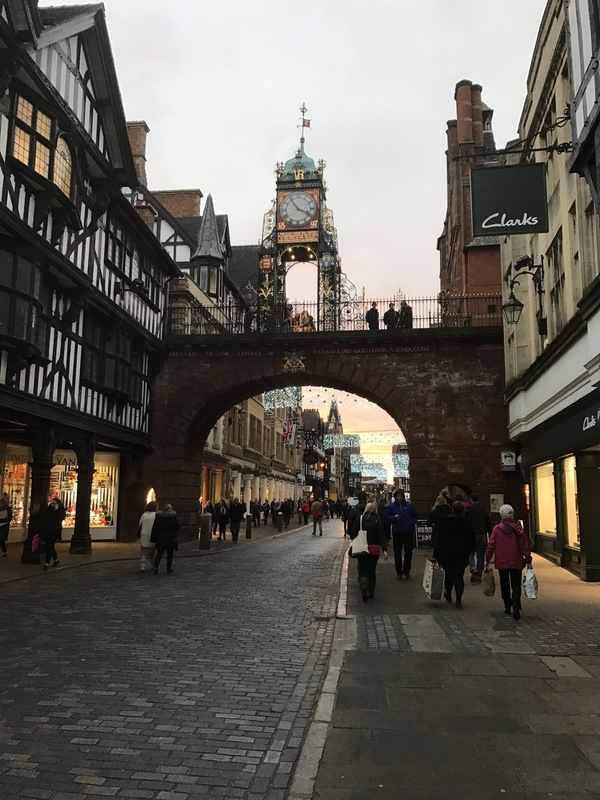 East Gate Clock – Said to be the second most photographed Clock in the UK after Big Ben. You can’t miss this. 7. 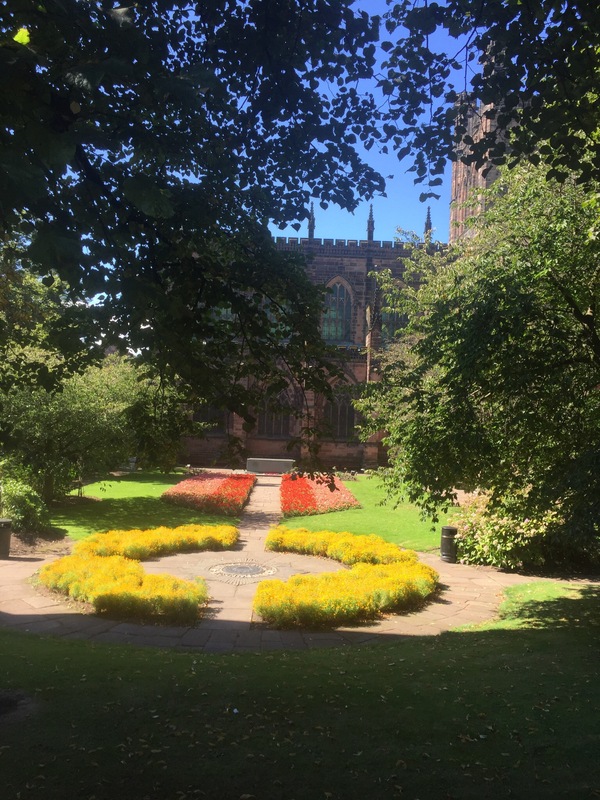 The Cathedral – It’s free to get in and you can spend an hour or more looking at one of the many exhibitions they have on show. 8. 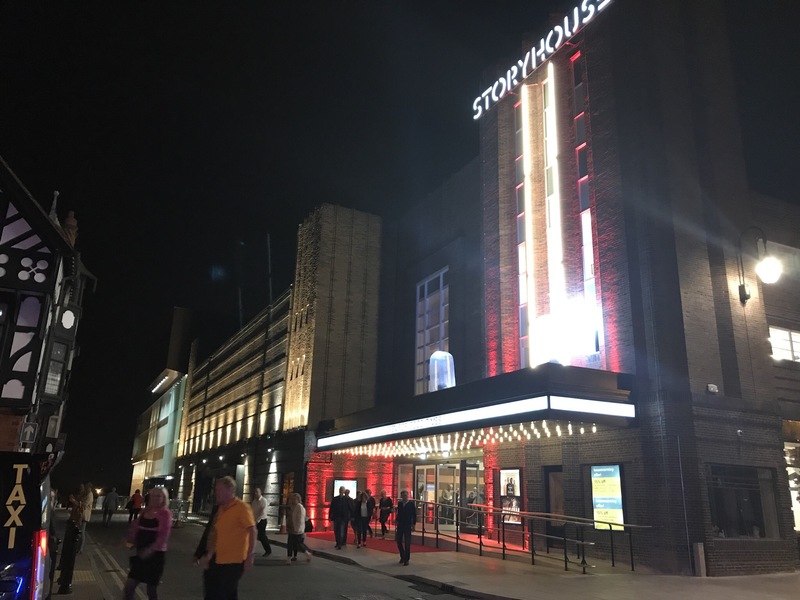 Storyhouse – This theatre, come library, come cinema, come restaurant opened in May 2017. It’s a great place to spend some time, but many shows do sell out, so book well in advance. 9. 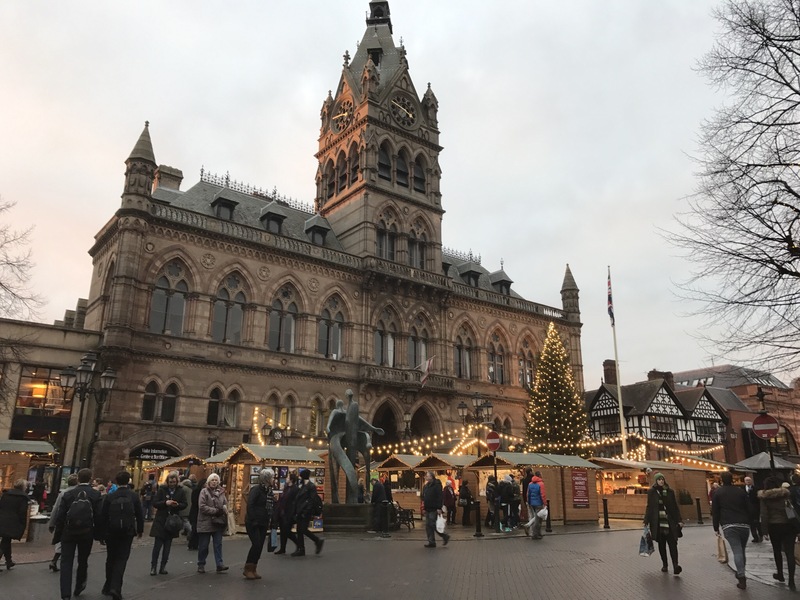 Town Hall – In the centre of town, directly opposite the cathedral sits the town hall. It has open days so check in advance to see if it it’s open. 10. 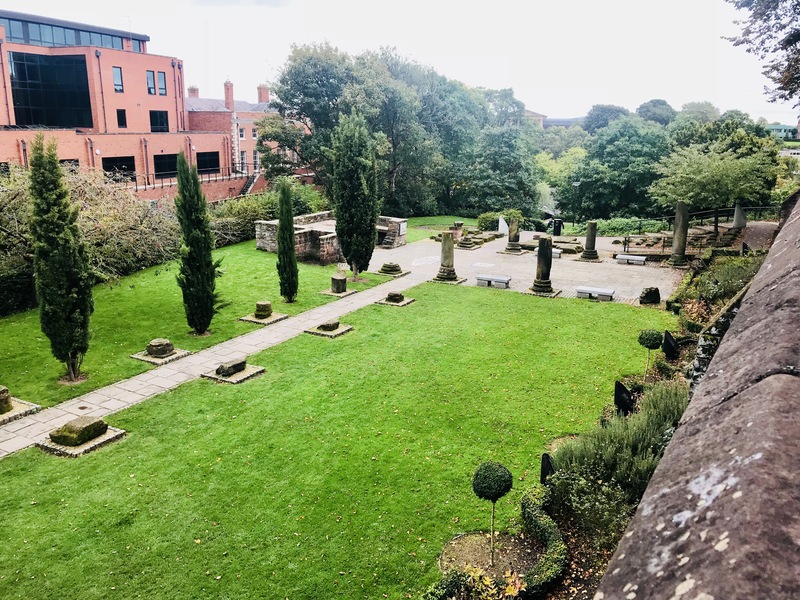 Roman Gardens – All the Roman artefacts found during digging are located here including the Roman baths. Next door is the ampitheatre which is also worth a look.